June 29, 2018: Eldon House, featuring Spotlight Artist Breath in Mvmt. Donate to help us present more talented Emerging Choreographers to London this year – and earn great rewards! Visit our home page or Youtube channel to see all our videos from past performances. 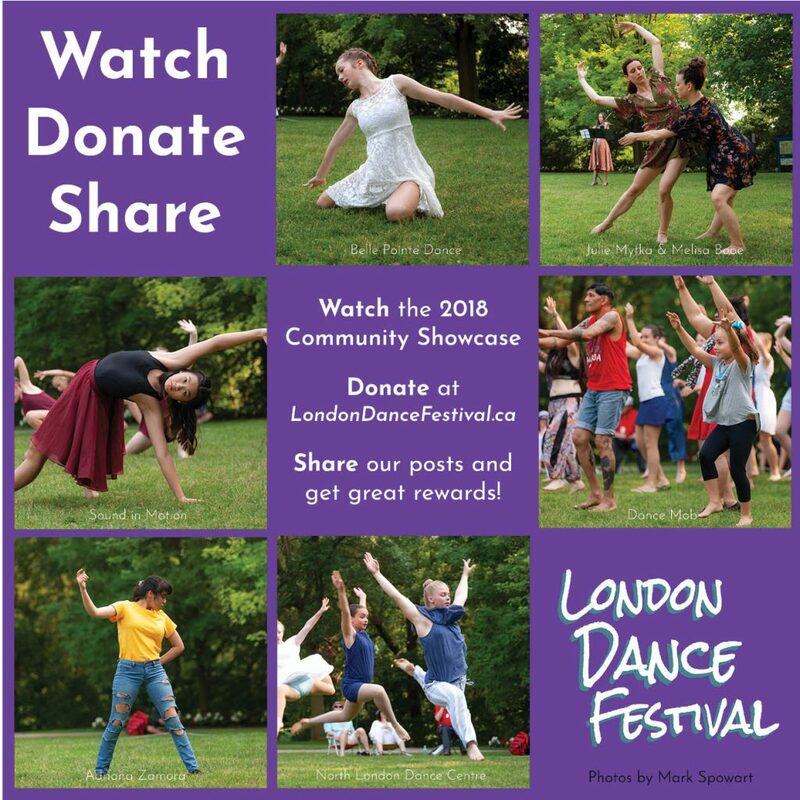 Check out the LDF Community Showcase from June 30, 2018 at Ivey Park featuring Spotlight Artist Sound in Motion. Donate to help us bring more great dance to London this year – and earn great rewards! $250+ All of the above! You can pick up your rewards at all festival events or make arrangements to pick up at a local studio. *Available in London area. Outside of London, skype lesson can be arranged. 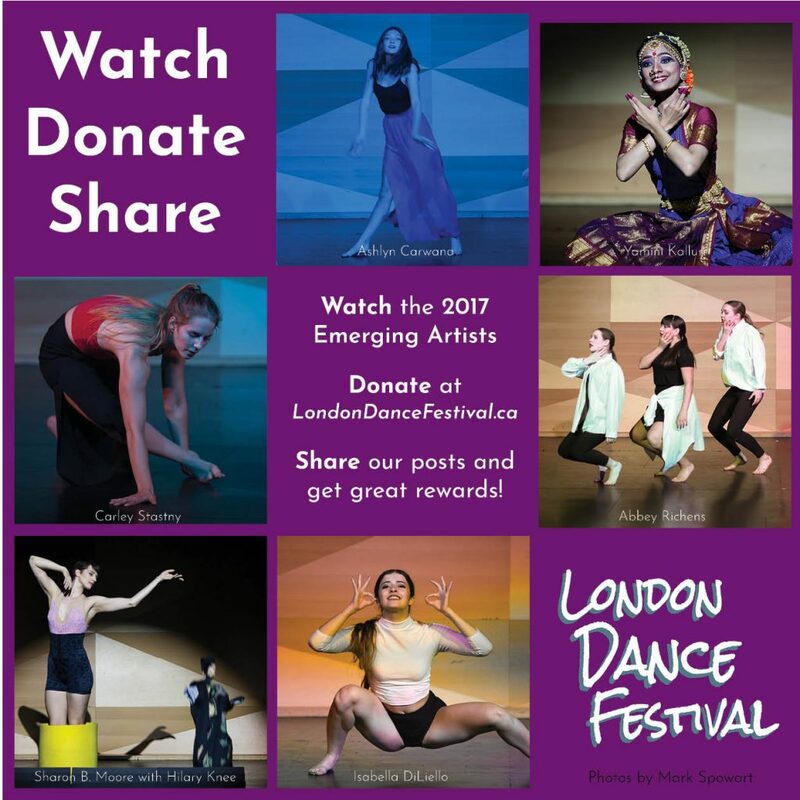 The money goes directly to the Centre of Movement Arts, presenter of the London Dance Festival, and a registered non-profit (#1969121) that supports dance and movement in London. Money raised will be used to pay artists who perform in the festival and other performance events. I don’t have a credit card or Paypal account, can I still donate? Yes! We accept donations by cash, cheque, and e-transfer. Email us at info@londondancefestival.ca for more information. Are there other ways to help? Yes! You can support us by volunteering at festival events, by sharing our promotions on social media, become a sponsor, or donate in-kind goods and services. 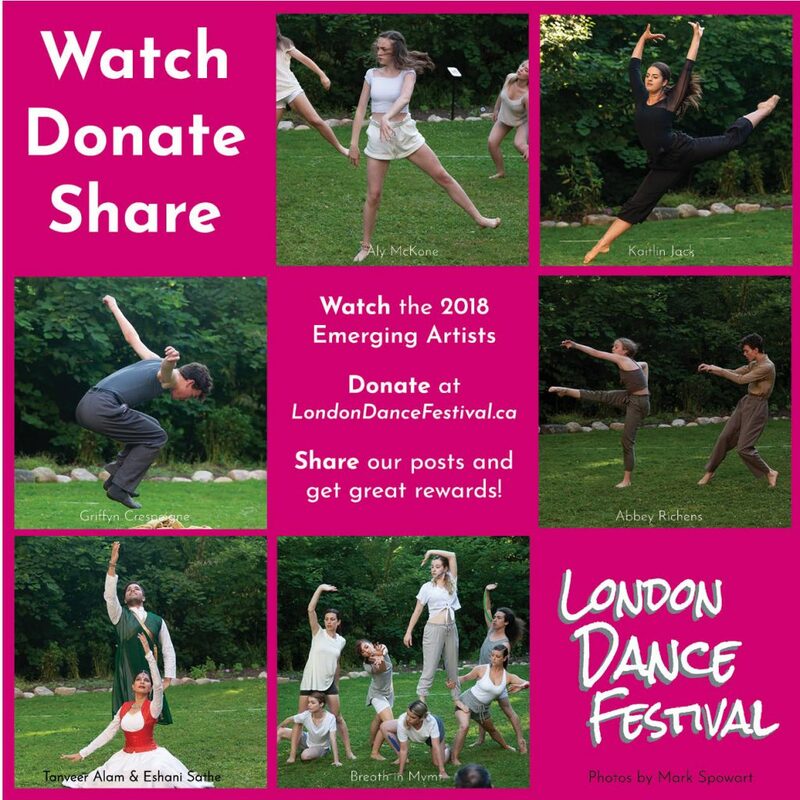 Email us at info@londondancefestival.ca for more information. How can I participate in the festival? 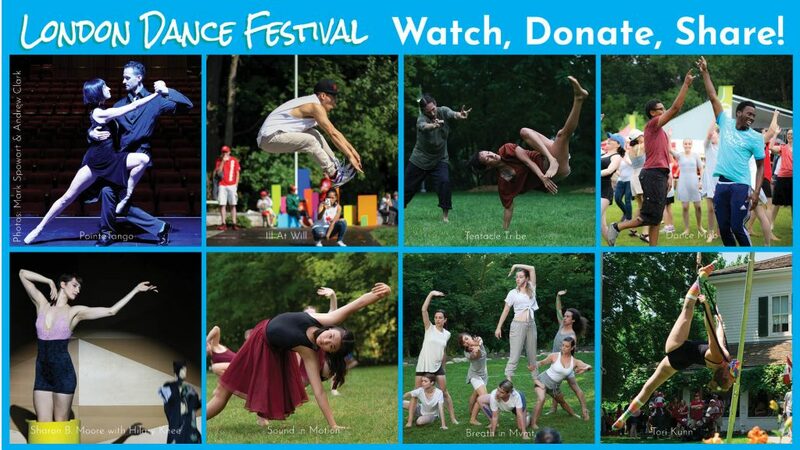 You can apply to perform your dance work at the festival, participate in the Dance Mob workshops and performance, attend as an audience member, and more! Learn more on our website. Will I get a tax receipt? No. Unfortunately we are unable to provide tax receipts, as we are a non profit (but not a charity). The festival is seeking dances of 3 to 15 minutes by emerging artists in all styles. Choreographers ages 16 and up are welcome to apply. For the first time this year the Emerging performance will have a theme: “Awaken Summer”. Applicants will interpret this theme through their choreography, expressing their own ideas about awakening, emerging, growing, blooming, beginning, sunshine, heat, and all things summer. PLEASE NOTE: This year the festival is especially interested in works with 3 or more dancers. We will be accepting a very limited number of solos and duets. Click here to apply. Preference is given to London and area artists, but we welcome submissions from across Canada. Movement and music content must be appropriate for a family audience. There’s no right or wrong way to dance walk. For this winter walk, we’ll add a little extra movement to keep us warm. Bizz Varty will offer the dance moves and outdoor enthusiast Nina Sampson will share information about the natural world around us. Join us, it’s FREE. 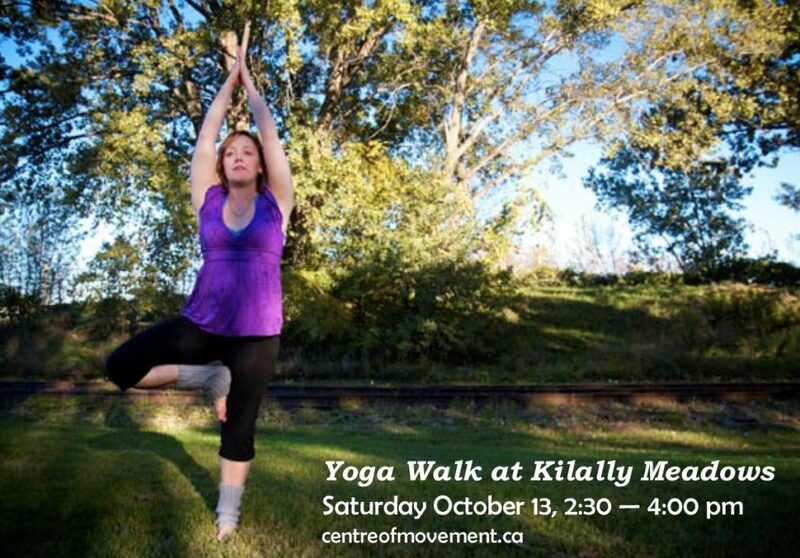 Meet at South end of St. Julien Street at 2:30 pm. Walk will be 60 minutes approximately. Dress for the weather, this walk will happen rain, snow or shine. See Nina’s tutorial on layering up for a winter walk, below! Accessibility: This walk may happen on snow-covered trails, so may not be suitable for mobility devices, including strollers. Please check for weather-related accessibility updates. Calling All Professional Dance Artists! The festival will take place in various locations in London, Ontario from June 28 – June 30, 2019. The London Dance Festival is seeking submissions of dances of 10 to 30 minutes by established artists/companies, in any style. Artists will receive a performance fee. Performances will be paired with other festival events. Preference is given to London and area artists, but we welcome submissions from across Canada and around the globe. Movement and music content must be appropriate for a family audience. Applicant biography and performance history (max 200 words). Description of proposed dance piece or workshop (max 150 words). Two to five high resolution photos of the work, artists, company, choreographer and/or teacher, to be used for promotion of festival events (will only be used if selected). Please include photographer and artist credits. Web link to performance or rehearsal footage for performers/choreographers, or teaching footage for workshop facilitators. (Please ensure web links are active and working). If video of the proposed piece/workshop is not available then similar work should be submitted. There’s no right or wrong way to dance walk, just get outside and groove, strut, shimmy and shake! 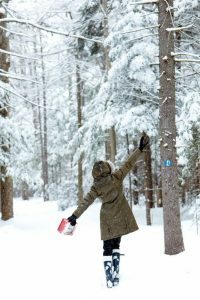 With live music, including holiday tunes, for inspiration, on this winter walk through Kilally Meadows we’ll add a little extra movement to keep us warm. Bizz Varty will offer dance moves for you to try and outdoor enthusiast Nina Sampson will share information about the natural world around us. Join us and jingle all the way! Meet at Windermere and Adelaide entrance at 2:30 pm. This walk will be approximately 60 minutes. Accessibility: This walk may happen on snow-covered trails, so may not be suitable for mobility devices, including strollers. Please check for weather-related accessibility updates during the first weeks of December. Save the date! The 2019 London Dance Festival will happen June 28-30. Take deep breaths of fresh air as we move and stretch our bodies and tune into the natural world. Find stillness both inside and out by combining walking and yoga in the forest setting. Our nature expert Nina Sampson will share her knowledge of the local environment and Bizz Varty will lead the yoga poses. We will use the landscape to modify movement to suit all participants. All ages and abilities welcome! Meet at the Windermere and Adelaide entrance at 2:30 pm. This walk and yoga will take approximately 90 minutes.